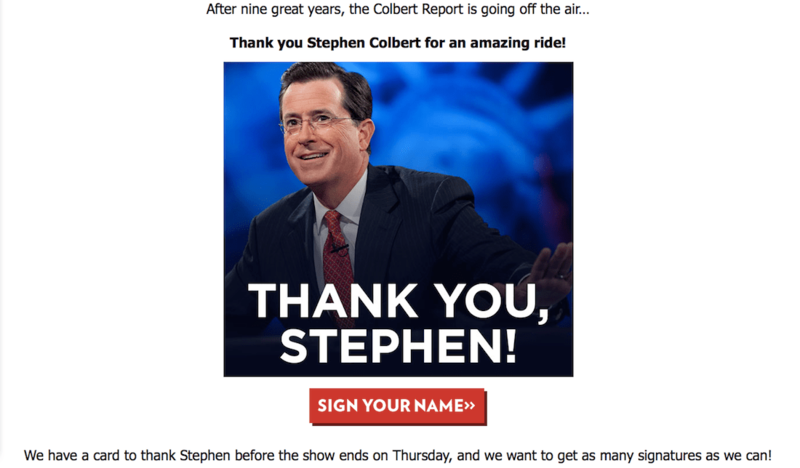 That was followed by a link to an official Democratic Party web page called “Thank You Stephen Colbert!” So I guess the Democrats have known all along that Colbert’s show was an hour-long commercial for their party and its candidates. I am not in favor of restricting anyone’s right to free speech, but if federal law is going to bar a businessman from contributing enough to buy more than a minimal amount of television time on behalf of his party or his candidates, why shouldn’t Stephen Colbert and Comedy Central be prohibited from airing millions of dollars worth of pro-Democratic Party propaganda? UPDATE: For some reason, lefties have taken an interest in this post. I am not sure why; they agree that Colbert has always been a Democrat Party operative. So far I haven’t seen any of them comment on why the Democratic Party should get free commercials from the likes of Colbert, while a businessman (of either the right or the left) can contribute only small amounts to parties and candidates. Unlimited free speech for all, I say. The only coherent criticism any of the lefties has made is that Colbert’s show was only 30 minutes long, not 60. For that, I am grateful.